A conservative German leader decides to close down their nuclear industry because the German people are outraged and organized. We could all learn from the German anti-nuclear movement. Since the Fukushima disaster the Germans have been the most active anti-nuclear activists in the world. Congratulations to the German people! They are putting us all to shame! Today was the 6th weekly vigil at Bath Iron Works (BIW) here in Maine during the Lenten season. 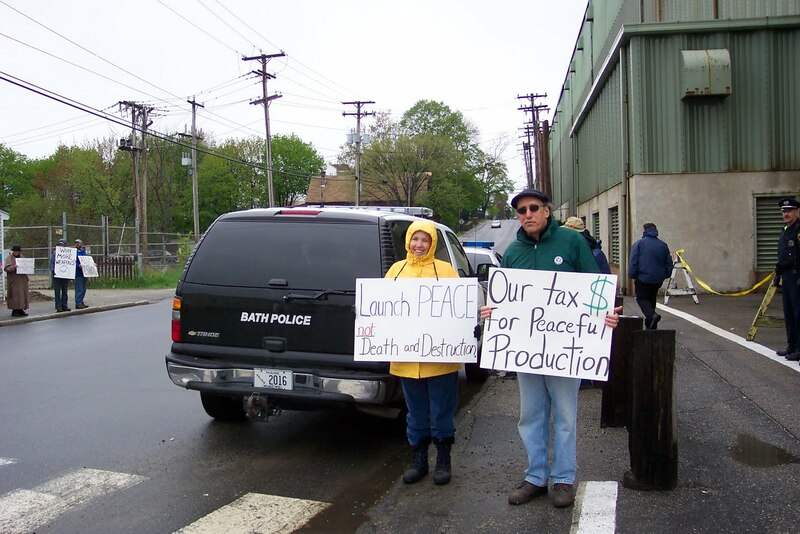 Organized by the Smiling Trees Disarmament Farm, these weekly vigils have been a mainstay outside the Navy ship yard for many years. Since our house is so close it is one of the few protests we can actually walk to - a very nice thing for us. I held a sign today that has a train painted on it by an artist friend and reads "Built in Bath" across the top. As the Saturday shift workers drove by at noon it was clear that many of them understood the message - and many of them agree - that something different could and should be produced at BIW. There is growing support amongst the workers to consider the idea of conversion. But in order to make it happen the workers inside these military production facilities are going to have to become more vocal. 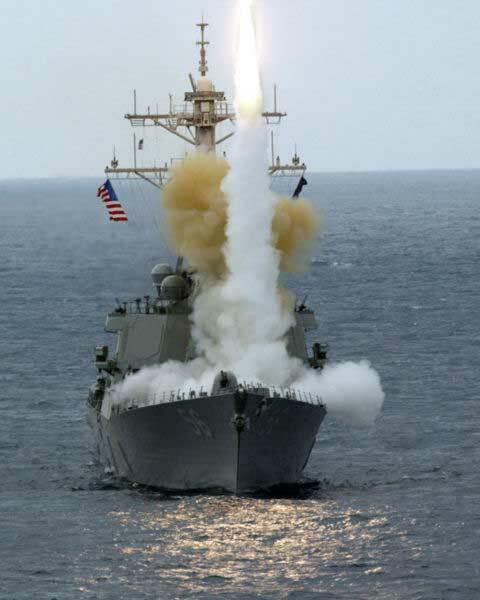 These Aegis destroyers, with so-called "missile defense" systems on-board, are keys to the aggressive Pentagon military strategy that calls for deployments around Russia and China's borders in order to neutralize their nuclear retaliatory forces. The hard fought struggle now going on at Jeju Island in South Korea against the construction of a Navy base is linked to these Aegis destroyers as the Navy needs more ports of call for the ever-expanding fleet of these ships. The next "christening" of an Aegis at BIW will be on Saturday, May 7 so we will once again put out the call for peace activists to join us there for a protest of these war ships. Many of Maine's leading politicians, including our new Republican governor, will be on-hand for the event. We will gather at 8:30-10:00 am in order to be there as the thousands of people file into the ship yard to watch the ceremony. We'll hook up a portable sound system and hear speeches from representatives of many peace groups in the state. After it is over we'll hold a pot luck lunch at the Addams-Melman House in Bath. We'll be talking alot that day about jobs. Studies show that spending $1 billion on military production creates 8,555 jobs. 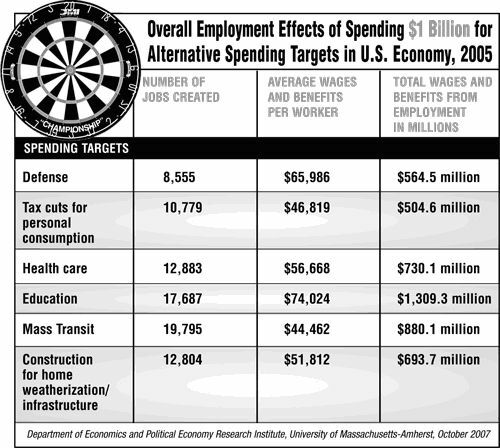 But if that same $1 billion was invested in building rail systems at places like BIW we'd get 19,795 jobs. That's a huge difference and you'd think that the media, unions, politicians, and the public would be all over this little known bit of good news. People are clamoring for jobs these days. Corporations, despite huge tax cuts, are not investing here in the U.S. because they are attracted to cheaper labor overseas. So if we want more jobs in this country we've got to take our federal tax dollars, that are presently being pissed down the rat hole, and invest them in building rail systems, wind turbines, solar systems back here at home. This won't happen though unless we demand it and we must do it repeatedly. 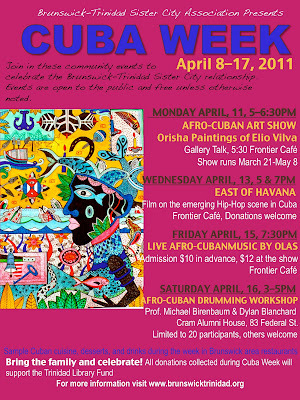 We'll have another opportunity to do so at BIW on May 7. Obama pledged to end torture. He hasn't. Obama pledged to close Guantanamo. He hasn't. Now Obama tortures Bradley Manning at the Quantico Marine Base prison and won't allow him have any visitors, including the U.N., the Red Cross, or even Rep. Dennis Kucinich. Then when challenged by reporters about their illegal treatment of Manning the Obama mouth piece gets testy and refuses to answer any questions. Smells like, sounds like, acts like George W. Bush.......please show me otherwise. Football star among hundreds of athletes suspended from national team for taking part in anti-government protests. 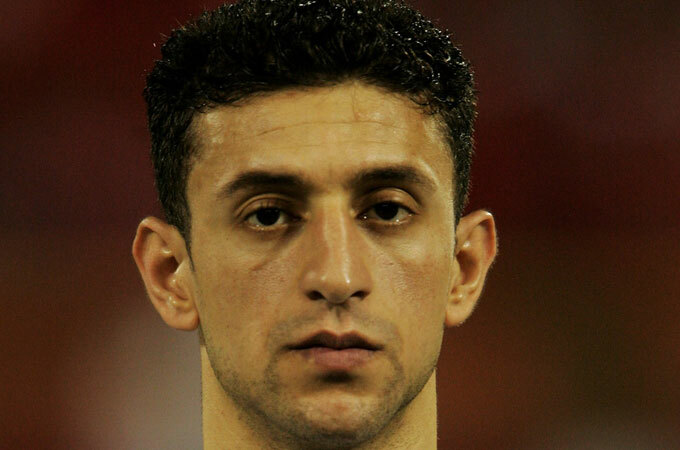 Al'a Hubail is a legend in the world of Bahraini football. In 2004, along with his brother Mohammed, he led the national team on a rollicking VCU-esque run into the Asian Cup semi-finals. Hubail then became the first Bahraini player to win the prestigious Golden Boot Award after scoring five goals against the continent's best teams. Now the winner of the Golden Boot has gotten the boot, expelled from the national squad and arrested after news cameras caught him at an "anti-government" protest aimed at Bahrain's royal family. His football-playing brother, Mohammed, who stood alongside him at a peaceful protest across from Bahrain's shoot-first army and the imported armed forces of Saudi Arabia, was also sacked from the team and put into custody. Both brothers, along with two other players, were cuffed and frog-marched off the practice field in front of shocked teammates. According to the Times of London, Bahrain's state-news program had focused on the Hubail brothers at the demonstration to "shame the sports stars" for taking part in the protest and referred to them and all the demonstrators as "stray hyenas". The state-news report did not mention that Al'a Hubail is a trained paramedic and EMT who was also acting as a volunteer nurse at the protest. Considering the dozens killed and hundreds injured by Bahrain and Saudi Arabia's armed forces since the protests began, he should be lauded as a true international hero. Instead he is behind bars. The Hubail brothers were just the most prominent athletes affected in what has become an ugly crackdown on the country's sportsmen for justice. Bahrain, a country run by a royal family so decayed with gluttony, excess, and corruption, they could be honourary Trumps, has announced that 200 athletes have been indefinitely suspended on charges of "supporting the popular revolution in the country". Among them are nationally known basketball, volleyball, and handball players. The Associated Press quoted a government official, speaking under the cloak of anonymity, saying that these athletes have been branded "against the government" for having supported "anti-government" protests. No other specifics were given. All 200 have also been banned from any international play. All 200, like the overwhelming majority of demonstrators, are part of the country's oppressed Shia Muslim majority. Shamefully, yet completely unsurprisingly, the Bahrain Football Association backed the move, saying, "The suspension falls under misconduct, and the breaching of the rules and regulations of sporting clubs... not to engage in political affairs." Also shamefully, yet completely unsurprisingly, president Barack Obama and the US government have said nothing. As Joshua Colangelo-Bryan, a consultant to Human Rights Watch, wrote: "President Obama loses his voice when it comes to Bahrain." This is not just oversight or happenstance. Bahrain happily houses the US Navy's Fifth Fleet, and has pledged to do so for another 50 years. It appears that this favor has given them the right to spill the blood of peaceful protesters with impunity. There is no "no-fly zone" over Bahrain, and no emergency UN Security Council meeting. There are no breathless comparisons by news columnists of the Bahraini royal family with Hitler, Stalin, Pol Pot, Darth Vader, or Sauron. Instead, with a lockstep consistency that would impress the state media systems of the old Eastern Bloc, US politicians of both parties and US media have chosen to remain silent. This is not the first revolt in Bahrain's history but it is by far the most serious. Once the wave started across the region, Bahrain was an obvious place where the sentiment of rebellion against autocracy would find fertile ground. I spoke to Chris Toensing, the editor of the Middle East Report, and he said: "because it is located atop the hydrocarbon jackpot of the world in the Persian Gulf, Bahrain has the image of a wealthy nation. In fact a large part of the native population is poor. That poverty plus the sectarianism chauvinism and tyranny of the royal family have made the country restive for decades. The 2011 revolt is but the largest and most brutally repressed of a series of popular struggles for justice." But just because the political class and the front page of your paper have surrendered their morality and said nothing, doesn't mean the sports page should follow suit. Every football writer with a working pulse should be calling for the release of the Hubail brothers. Every sports union should release statements saying that they stand with their 200 brethren and want them re-instituted immediately and without delay. Every player who believes in the concept of fair play should call upon the Bahraini royal family to cease and desist. The Royals want to practice their repression in shadows. We can offer light. Sports teams are often referred to as families. Well, when members of our family are being abused, you say something. Bahrain's royal butchers are banking on our silence. But when silence equals death, it is no longer an option. Dave Zirin is the author of "Bad Sports: How Owners are Ruining the Games we Love" and just made the new documentary "Not Just a Game". 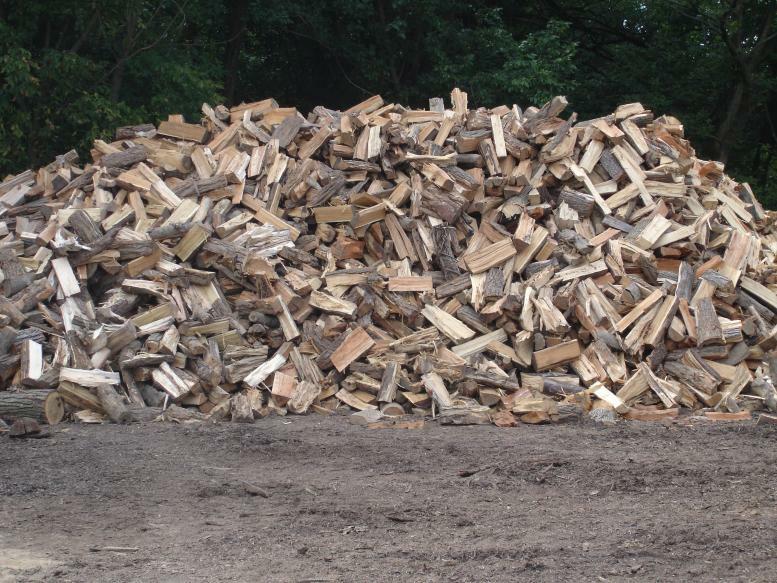 We've had four chords of wood delivered to our house and it now needs to be stacked. Yesterday I began the process of lining up pallets to put the wood on. Today I will begin the long, and slow, process of stacking. My back is going to love it. But once done I will be proud of a job well done and can spend the summer and fall admiring the wood as it cures. This morning I watched a new documentary called Lifting the Veil: Obama and the Failure of Capitalist Democracy. It's long but quite thorough with many excellent people being interviewed. It clearly outlines the sad story of Obama's betrayal of his base and makes the point how Democrats historically have played their progressive constituency like a fiddle. The film makes the case for a socialist democracy rather than the centralized corrupt corporate power which we have today. If we are going to get anywhere we are going to have to start talking about getting rid of this system of predatory capitalism. I can't imagine anyone ever trusting Obama enough to vote for him in 2012 - or the Democrats for that matter. The evidence that Obama and his party are loyal tools of the oligarchy is overwhelming. We just can't keep going back-and-forth between Repubs and Dems each election cycle. The power elite are quite happy with that arrangment since they control both those parties. One of my favorite voices in this film is economist Richard Wolff from UMASS-Amherst. Here is one of his video clips. It's all there. Right out front. Either we stop giving tax breaks to the rich and end our wasteful and immoral wars and occupations or collapse is sure to continue. Nice words by those in power are one thing but we are learning to watch the other hand of the magician. See what the magician actually does. In the meantime folks better get off the couch and into action or this ship is sinking. No more rearranging the deck chairs on the Titanic. Each April the Space Foundation holds its Space Symposium at the posh Broadmoor Hotel in the hills overlooking Colorado Springs. Thousands of aerospace industry operatives, military personnel, elected officials and students are brought to the event which has become almost a religious ritual for those working to move the arms race into the heavens. The Colorado Springs-based Citizens for Peace in Space holds a vigil during the annual space confab and attempts to hand out leaflets. Can't get some of the images from yesterday out of my head. At one point in our demo there were at least 100 employees from General Dynamics who crossed the sidewalk from the five-star Broadmoor Hotel on their way to the Convention center hosting the annual Space Symposium. In the middle of the pack was an actual two-star Air Force General in conversation with several of the employees. That would make a great military industrial complex poster. The event organizers say that there will 9,000 attendees in all including hundreds of school children. Another graphic image was the presence of a couple of Northrop Grumman shuttle buses all decked out in the latest corporate slogan listing all the areas of warfare that they are involved in. And finally there was the Boeing building. It was set up to handle their massive display as though there weren't enough space for that in the convention center. As usual there were very few who took our leaflets. They do live in a different world. Japan has raised the severity rating of its nuclear crisis from 5 to 7, the highest level, matching the 1986 Chernobyl nuclear disaster. Democracy Now goes to Tokyo for an update from Thomas Breuer, head of the Climate and Energy Unit for Greenpeace Germany and part of a field of radiation monitors in Japan. He notes that unlike Chernobyl, the damaged Fukushima Daiichi nuclear power plant is in a densely populated area. “We warned the government that there are a lot of cities and villages outside the 20-kilometers evacuation zone where the radiation levels are so high that people need urgently to be evacuated, especially children and pregnant women, because they are the most vulnerable part of the population to radiation,” says Breuer. According to Natural News, The U.S. Environmental Protection Agency (EPA) continues to release new data showing that various milk and water supply samples from across the US are testing increasingly high for radioactive elements such as Iodine-131, Cesium-134, and Cesium-137, all of which are being emitted from the ongoing Fukushima Daiichia nuclear fallout. 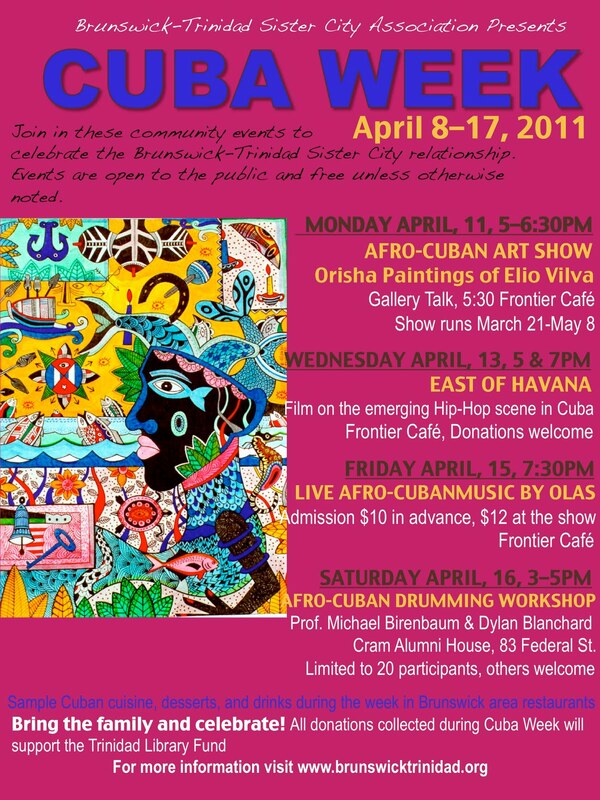 Cuba week events in Brunswick, Maine organized by Let Cuba Live. 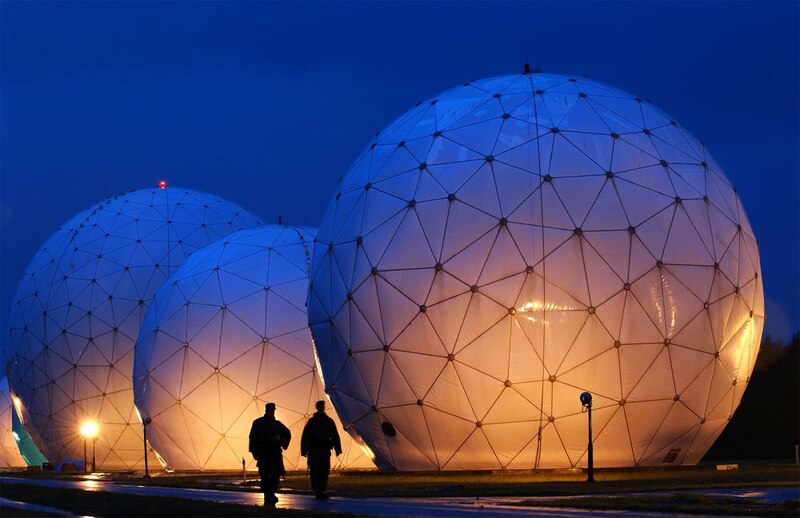 GLOBAL MILITARY SPENDING OR SUSTAINABLE TECHNOLOGY? 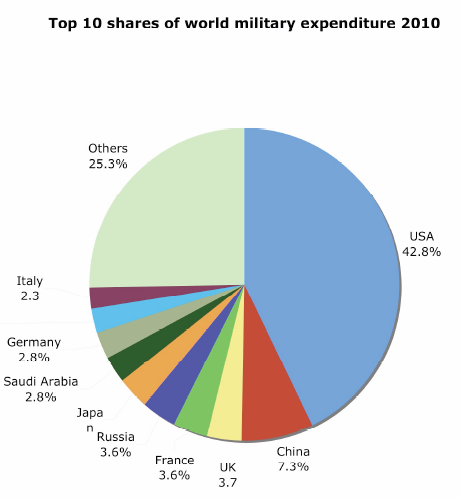 For all the posturing in Washington about confronting the "existential threat" posed by the country's dire fiscal state, there has been, until now, almost no serious discussion about reducing America's vast military expenditures. The White House says Obama's speech on the deficit this week will call for Pentagon cuts. But as TIME's Mark Thompson has shown, neither Obama's 2012 budget proposal nor Representative Paul Ryan's "Path to Prosperity" contemplate a major decrease in overall military spending anytime in the near future. At best, Ryan's proposal would slow the rate of growth of the defense budget over the next 10 years but won't halt it. Even after pocketing the expected savings from a pullback of U.S. troops from Afghanistan, Ryan's budget projection calls for nearly $8 trillion in military spending over the next decade — more than the government's Medicare obligations, which Ryan asserts (correctly) must be reformed. The justification for continued runaway defense spending? "The U.S. cannot retreat in its aggressive campaign against the global network of terrorists intent on taking American lives and destroying the American way of life." Associated Press reports, "The military is investigating what appears to be the first case of American troops killed by a missile fired from a U.S. drone. The investigation is looking into the deaths of a Marine and a Navy medic killed by a Hellfire missile fired from a Predator after they apparently were mistaken for insurgents in southern Afghanistan last week, two senior U.S. defense officials said Tuesday. The officials spoke on condition of anonymity because the investigation is ongoing." Washington D.C. Mayor Vincent C. Gray and several members of the D.C. Council were arrested Monday at a protest on Capitol Hill, as city officials turned up the volume on their complaints about a federal spending deal that imposes controversial riders on the District. The spending measure — agreed to Friday night by President Obama, Senate Majority Leader Harry M. Reid (D-Nev.) and House Speaker John A. Boehner (R-Ohio) — reimposes a Republican-backed ban on the District spending its own money to provide abortions to low-income women. It also revives and expands a private school voucher program that has divided D.C. officials. More than 200 protesters lined Constitution Avenue NE Monday evening in a rally next to the Dirksen Senate Office Building staged by the activist group DC Vote. Gray helped lead the event, along with D.C. Council Chairman Kwame R. Brown (D-At Large) and council members Yvette M. Alexander (D-Ward 7), Muriel Bowser (D-Ward 4), Michael A. Brown (I- At Large), Tommy Wells (D-Ward 6) and Sekou Biddle (D-At Large). Forty-one people were arrested and charged with unlawful assembly for blocking passage on the street, U.S. Capitol Police said. They were taken to a Capitol Police facility in Southwest for processing, and as of 10 p.m., they were to be transferred to the Capitol Police headquarters on Capitol Hill before being released, a mayor’s office spokesman said. The office of Acting D.C. Attorney General Irvin B. Nathan, who was appointed by Gray, will decide whether to file charges. The protest came on a day when the area got at least some welcome news about the budget deal. Sources familiar with the agreement said it fully funds the federal government’s $150 million share of the Washington Metropolitan Area Transit Authority’s capital budget, restoring money that had been cut in the spending bill originally passed by the House in February. The fate of other provisions affecting the Washington area, including cuts in federal payments to the District for courts, schools and other items, had not been made public Monday. Before their arrest, Gray and fellow city leaders attacked the spending deal and the federal officials who agreed to it without consulting the District first. The congressional restriction on using local funds for abortions was lifted from the District’s spending for fiscal 2010, which began Oct. 1, 2009. But abortions were not covered under health plans funded by Medicaid and the D.C. HealthCare Alliance until Aug. 1 of last year, because of the process of negotiating contracts and updating computer systems to handle the billings. Wayne Turnage, D.C. Department of Health Care Finance director, said the city has been billed for 117 elective abortions, totaling about $62,000. But, he said, that figure includes abortions billed by two of the three managed-care organizations that have contracts with the city. The third, he said, has yet to submit billings for the period since abortions became covered. The rally was aimed at swaying Congress to vote against the spending deal this week. But there is little sign Obama or congressional leaders plan to reopen the agreement. Mike O’Dell, a D.C. retiree, said he went to the rally because he is incensed about the abortion restrictions. He said he didn’t think Congress paid much attention to what D.C. residents wanted. President Barack Obama and congressional leaders reached a last-minute budget deal on Friday, narrowly averting a government shutdown. The deal would cut roughly $38 billion from a federal budget expected to exceed $3.7 trillion this year. Democracy Now speaks to Jeffrey Sachs, director of the Earth Institute at Columbia University. "Many of us who supported President Obama just feel that he’s abandoned the field," Sachs says. "He’s left it to the right wing, which wants nothing more than taxes cut for the rich, whereas the American public is saying very clearly, in every opinion survey, one after another, if you want to close the deficit, go after taxes for the rich, raise them, cut military spending, cut the excess profits in the insurance industry and healthcare, do things that would really make a difference—don’t punish the poor." 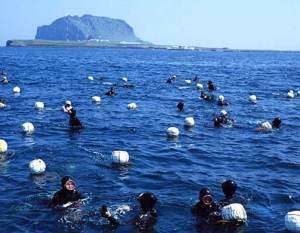 Sea diving women in Gangjeong village on Jeju Island in South Korea. This area will soon be dredged in order to make it possible to bring U.S. Navy Aegis destroyers into the base that is presently being built. I had an email from peace movement legend Frances Crowe last night. She was writing about the upcoming Global Network space organizing conference in June. 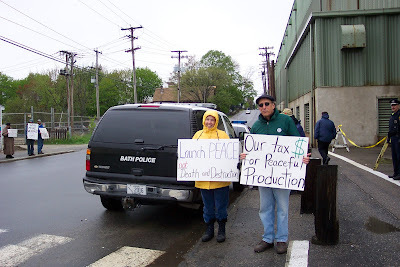 Frances lives in Northampton, Massachusetts and said this: "Have I mentioned to you that Raytheon pays no taxes in Mass. as there is a law that war contractors pay no state tax. Their cheapest missile that they are sending over Libya cost at least $100,000. I talked with the state senator Eldridge today from Middlesex and Worcester districts who said the Progressive Caucus is trying to address this." The corporations get tax breaks at every level - local, state, and federal. It's disgusting. They hold us hostage and take our tax money and declare that they shouldn't have to pay anything. After all they give us endless war and some jobs. What more should we expect? Speaking of Libya and war profiteers..... Another friend sent me word of this one: "The Pentagon is estimating that the military intervention in Libya cost an extra $608 million in the first weeks of the operation, a figure higher than originally projected..... through April 4, or for 17 days of the mission." This coming just after the agreement to cut $40 billion more from the hide of social programs because the country is in fiscal crisis. But there is always $$$ available for more war. Equally disgusting! There was a large anti-nuclear protest in Tokyo yesterday just as the Japanese government is expanding the evacuation zone around the Fukushima nuclear plant. Journalism professor Karl Grossman, who teaches at State University of New York/College at Old Westbury and has focused on investigative reporting on energy and environmental issues for more than 40 years, has a piece today at Counterpunch called "The Atomic Breeding Grounds". He incorporates the recent statement by the Global Network into the article - particularly our call to shut down the nuclear labs around the nation. Grossman was a founding member of the Global Network and prior to that worked closely with the Florida Coalition for Peace & Justice and helped report our opposition to the 1989 launch of the Galileo space probe by NASA that carried a large payload of highly radioactive plutonium-238 on-board. Underscoring the growing presence of "missile defense" (MD) systems on-board U.S. Navy Aegis destroyers, Reuters reports the Pentagon's Missile Defense Agency has announced a planned sea-based test this month that will pit a Lockheed Martin Aegis shipboard combat system and a Raytheon missile interceptor against their first intermediate-range ballistic missile target. The "window" for the Aegis shoot down attempt runs to April 30. The Aegis-equipped ship used in the test will be in the south central Pacific and the ballistic missile target will be launched from Kwajalein Atoll, part of the Marshall Islands in the central Pacific. Obama has moved the Aegis MD program to the top of his deployment list and will use the system to surround Russia and China. 2011 marks the 19th anniversary of Global Network’s organizing efforts to build an international constituency to Keep Space for Peace. Each year we gather to share the latest international developments on Pentagon and aerospace industry plans for the militarization of space. We approach this conference with clarity that U.S. “missile defense” programs are actually key elements in overall Pentagon first-strike planning. The Raytheon Company, which had 2009 sales of $25 billion, is a leading builder and promoter of the missile “offense” program. Headquartered in Massachusetts, Raytheon has a manufacturing plant in Andover that builds the Patriot (PAC-3) system that is now being used by the Pentagon to help encircle Russia and China. Conference: Saturday, June 18 day-long conference with panel discussions and workshops held at Merrimack College. Key Global Network activists from around the world speaking about current U.S. and allies space weapons technology developments and strategies. Concert: Tetsu Kitagawa, one of Japan's leading peace and justice singer/songwriters has been described as Japan's Bob Dylan -- early Dylan, the one engaged with people's movements. On tour in the U.S. as part of his 100 consecutive concerts for peace, nuclear abolition, and defense of Japan’s peace constitution, Kitagawa will be joined by Pat Scanlon and other musical friends for a concert on June 18 at 8:15 pm (North Parish Old Center Hall, North Andover). Open to the community, as well as to conference participants, tickets will be available at the conference and at the door for $10.